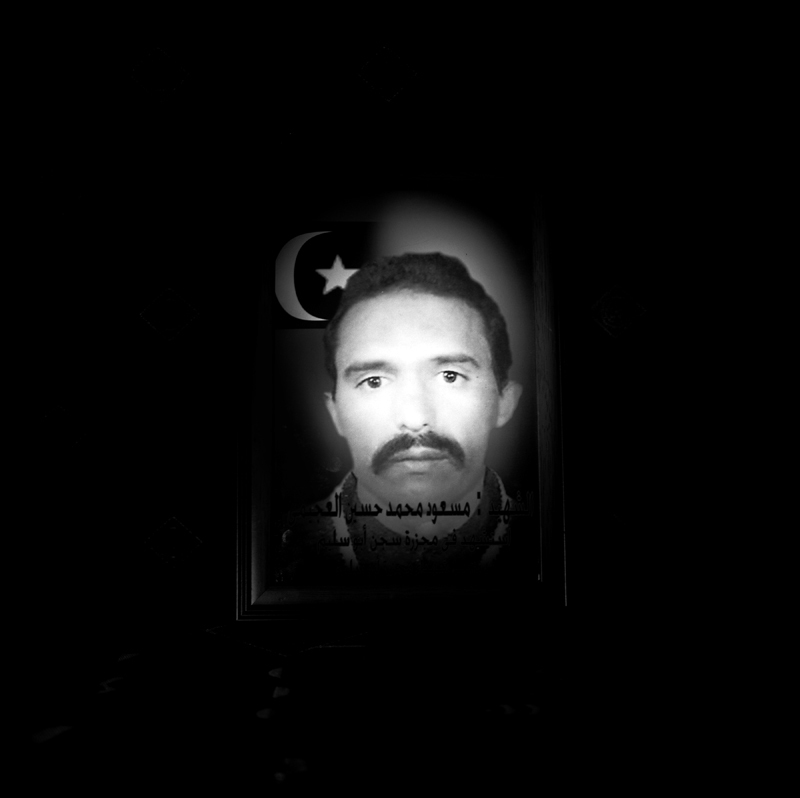 A photograph of Masoud, Zinab El Kilany's husband who was arrested by Gaddafi's forces in 1994 hangs on her wall in Tripoli on July 11th, 2012. "My husband was a very religious man. He wore trousers like prophet Mohamed. He prayed early in the morning at the mosque. Men started tracking and investigating him. They told him to stop praying at the mosque." During this period in Libya, many didn't differentiate between fundamentalism vs extremism and any bearded man who was outspoken religiously or attended early morning prayers ran the risk of detainment by Gaddafi's soldiers. "I received his death certificate in 2009. Security officers came to my door and handed me the paper. It felt like he died at that moment. For his cause of death there is a slash through it and his date of death is 1996."